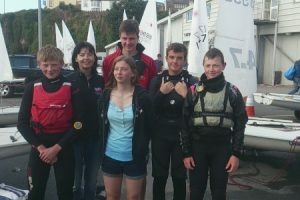 Strong winds and no respite was the order of the day on Saturday for the first 3 races in the Laser Leinsters at Dunmore East. 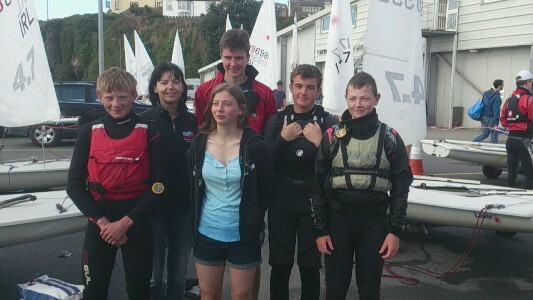 With South Westerly’s, gusting up to 23 knts, it was a real endurance test for the 5 Royal Cork juniors and Billy Duane senior who travelled to the event. Fair play to Billy Snr who gave it a lash, however competing against the likes of James Espey and Finn Lynch proved too much in the end and he decided to concentrate his efforts in supporting Billy junior, on shore, the following day. Sunday saw better conditions with sunshine and a steady 15 knot breeze, the famous Dunmore East swell was back and the sailors had great fun surfing down the waves for another 3 races. 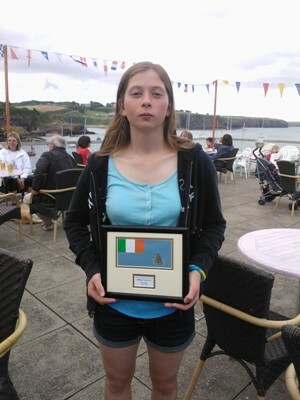 Well done to Rebecca O’Shaughnessy who was 1st girl in the 4.7 section and 6th overall. Congratulations also to Luke McGrath, 8th in 4.7s, and Luke Horgan for his performance on Sunday. In Radial, Richard Thompson finished 8th, and Billy Duane Jnr 14th.